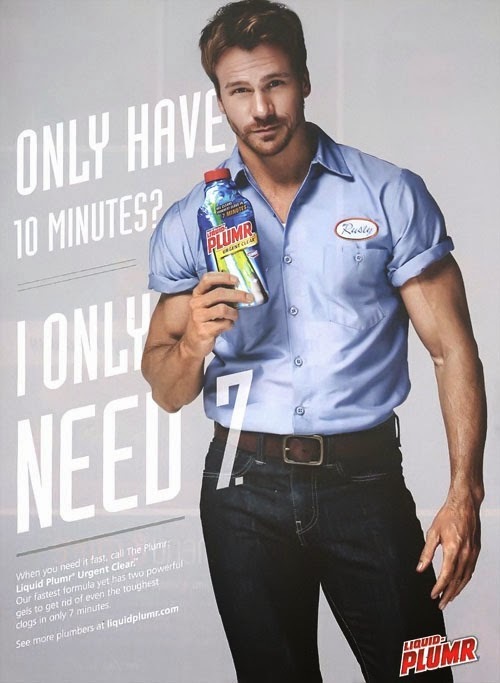 The very hot and talented Rusty Joiner stars in a new, fun ad campaign for Liquid Plumr. Rusty recently was signed to star in the upcoming action/thriller film 'PREY'. He will begin shooting in Tampa Fl with Simeon Rice set to direct. Watch this guy. A lot more to come. If you like the ad above, check out the official Liquid Plumr calendar for a whole year of hunky plumbers to remind you to keep your pipes clean. AND there's a commercial too! Check it out below. I've met Rusty at a few events and I can't tell you how nice and personable he is. Always a good time chatting with him. Update: Oops, I just noticed the commercial spot was removed. Dang it! Final scene of the ad is just great.